Mourning the loss of pumpkin season? Fret not: there are still two more weeks in November, and that means two more glorious weeks to enjoy pumpkin-flavored everything with zero self-consciousness. 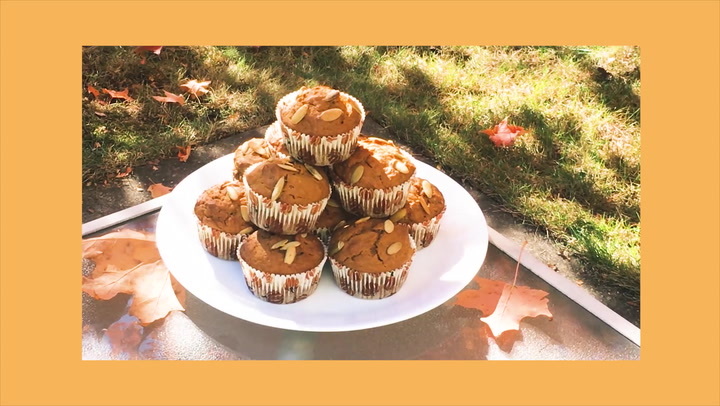 If you're looking for the perfect pumpkin product to tide you over during that time, this recipe for pumpkin muffins should do the trick! Combine flour, baking soda, salt, and spices in a bowl and mix thoroughly. In a separate bowl, combine pumpkin puree, brown sugar, oil, eggs, and milk and blend. Pour wet mixture into dry mixture and stir until thoroughly combined.